*The mannequin is wearing Small size. 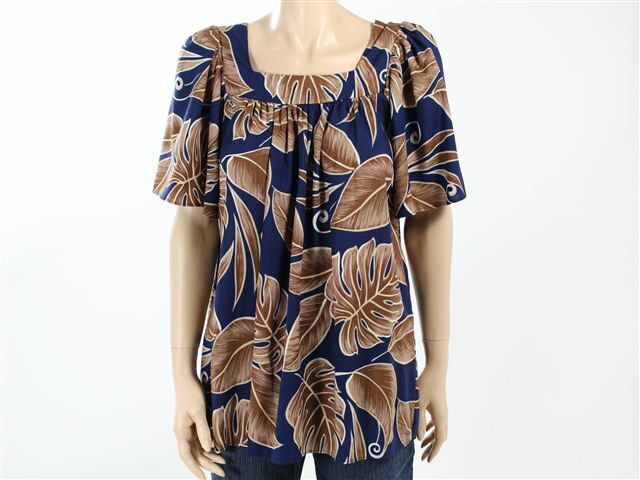 This is a loose-fit short sleeve blouse for comfortable wear. got it as a gift. It looked pretty good, but we'll see. I love Hinano products. Just bought a beach towel on the Island of Kauai. Comfortable and light weight. It does run a bit big. I normally wear a large and that is what I ordered but I could have gone with a medium for a fitted look. Prettier in real life. True to fit and beautiful colors.